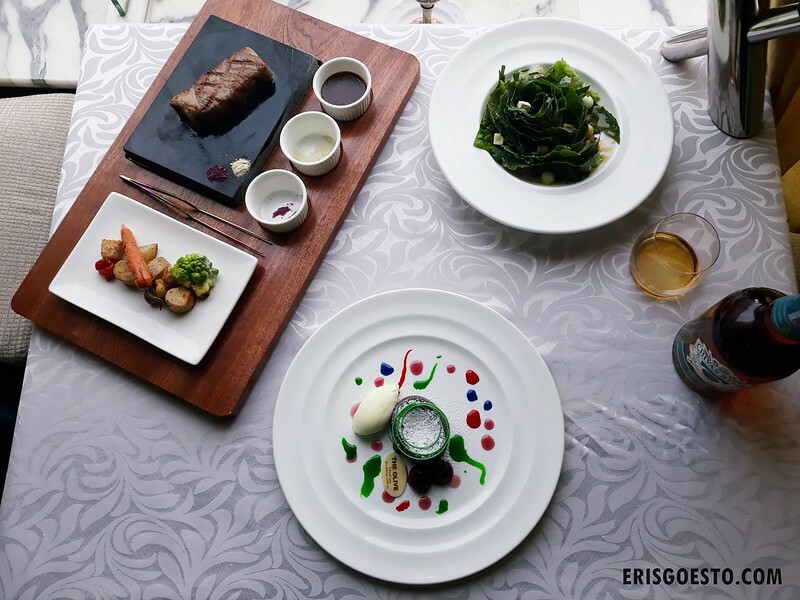 A Continental fine dining restaurant seems like an unlikely place to find the world’s highest grade Miyazaki Wagyu Beef – but that’s exactly what diners will get at The Olive at Resorts World Genting. The award-winning establishment is the first in Malaysia to offer Miyazaki Wagyu – from the Miyazaki region in Japan – and only among a handful of restaurants around the world with such an accolade. Widely considered the gold standard in its native Japan, the beef has been crowned champion at Japan’s Wagyu Olympics for three consecutive tournaments since 2007. 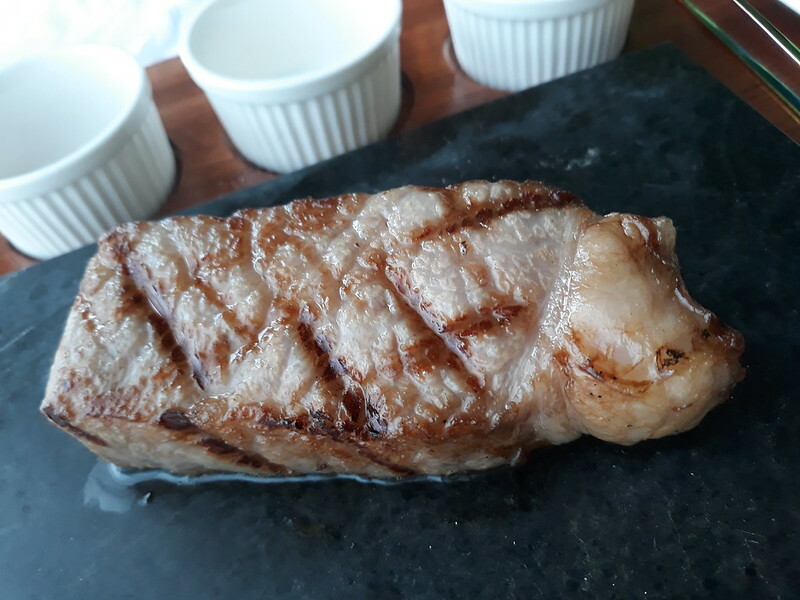 I had the privilege of trying out this exquisite meat at a recent food review for work cries tears of happiness. 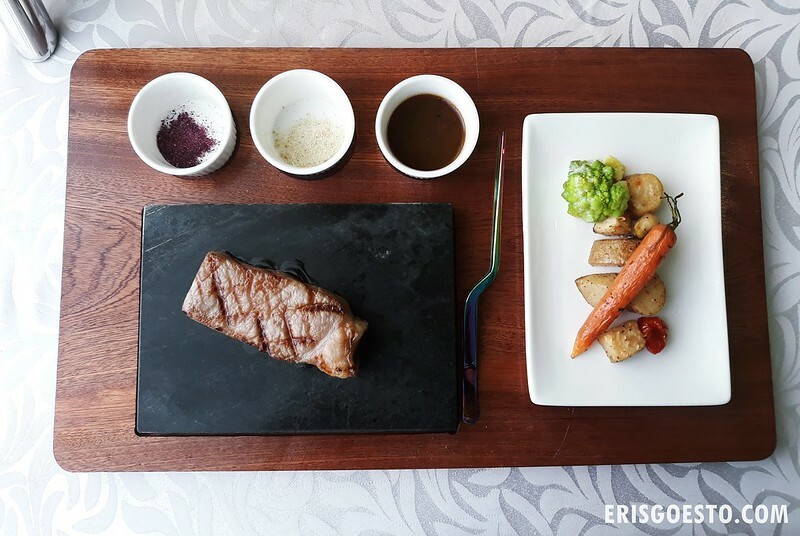 Under the hands of The Olive veteran Chef Mohd Radzuan, we were served a wondrous meal – a 150g cut of top grade Miyazaki beef, with a side of grilled vegetables. Arriving at our table, the beef sat on top of a heated stone slab, sizzling in its own fat and juices. No seasoning is added, but it comes served with three types of salt, which is all it takes to enhance the meat’s flavour. Wagyu is the general term for beef from four traditional Japanese cattle breeds, genetically predisposed to contain a higher percentage of omega-3 and omega-6 fatty acids. Because of its intense marbling, it yields a delicious, tender yet healthy meat that is famous all around the world. The value of wagyu depends on the combination of environment, weather, feed and cattle strain – which leads it to be identified by their production region, in the same way connoisseurs would refer to French wine from certain regions. The Olive sources its wagyu from the Nishinoharu Farm, surrounded by fresh mountain spring water from the Kirishima Mountains. The cattle are fed on a diet of wheat, corn and grass for at least 900 days. They are butchered between 28-32 months – 8 times longer than commercial beef – and only four cattle are harvested at a time to ensure the best care of each animal. Tasting is believing – and the Wagyu did not disappoint. 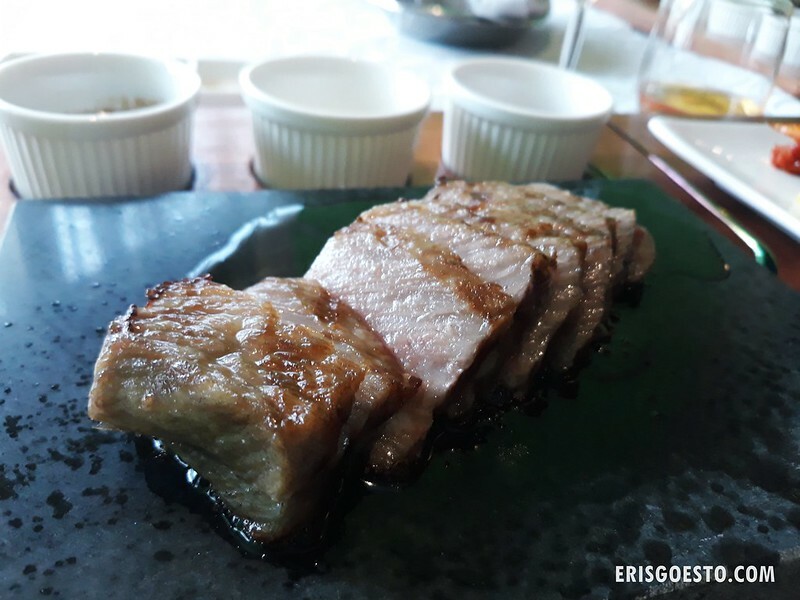 Sliced into beautiful cuts and lightly torched, each bite was the perfect epitome of melt in the mouth texture, the beef’s juices spreading out over the tongue. Its buttery smooth disposition meant there was little chewing involved, and despite the high fat content, was not cloying. Even without seasoning, the beef had a savoury, pure meaty flavour that was excellent on its own. 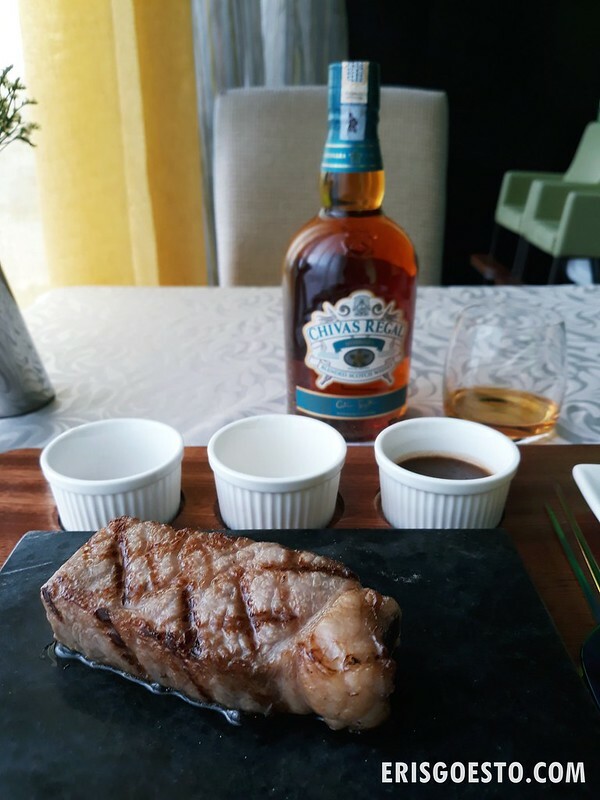 Pair it with a shot of Chivas Regal whisky for the ultimate indulgence. The highlight was definitely the beef, but the chef turned it into a satisfying three-course meal with an appetiser of salad, finishing off with dessert. 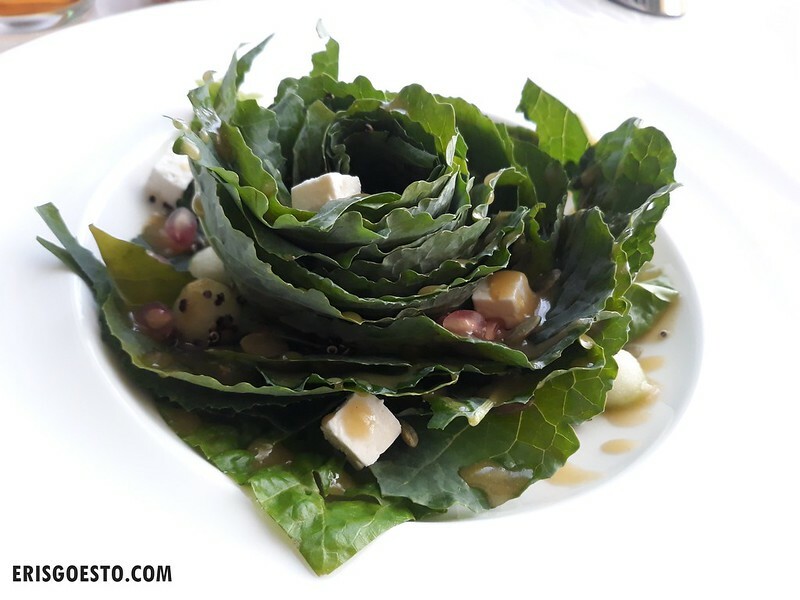 The Quinoa and kale salad with pomegranate, feta, and maple dressing was a fruity, sweet-savoury mix and made for a refreshing palate-pleaser. One of the rare times I actually finished my greens! The meal ended off on a sweet note with the house special, Chocolate Lava Cake, which oozed warm, chocolate-y goodness as we split open its center. What made this unique was the accompanying cigar-flavoured ice cream – created by infusing the smoke from cigars into the ingredients. The slight bitterness of tobacco complemented the sweetness of the chocolate and vanilla-based ice cream really well. Miyazaki wagyu will be served at The Olive as part of the a la carte menu, priced at RM450 nett per 150 grams. The Nakanishi grade of Miyazaki wagyu is certified halal by JAKIM, with butchering process that is separate from farm’s process for the Japanese market. 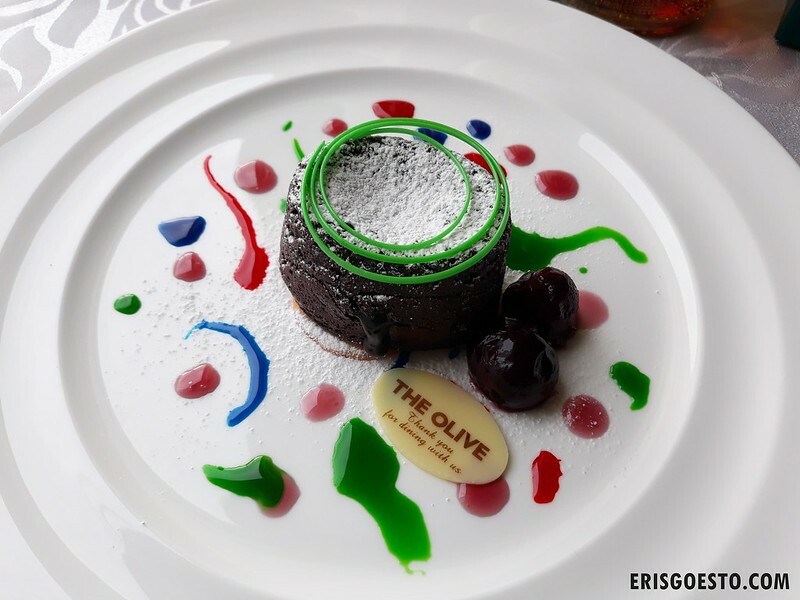 The Olive is located on the Lobby Level of Genting Grand Hotel, featuring a European-inspired fine dining menu with an extensive selection of wines. Miyazaki wagyu served at The Olive differs in pricing depending on the grade of meat selected, with the Nakanishi grade being the highest. Dining hours are 6pm-11pm daily, while The Olive Bar & Lounge operates from 6pm-1am (Sundays to Thursdays) and 6pm-2am (Fridays and Saturdays). For reservations, call +603 2718 1118.